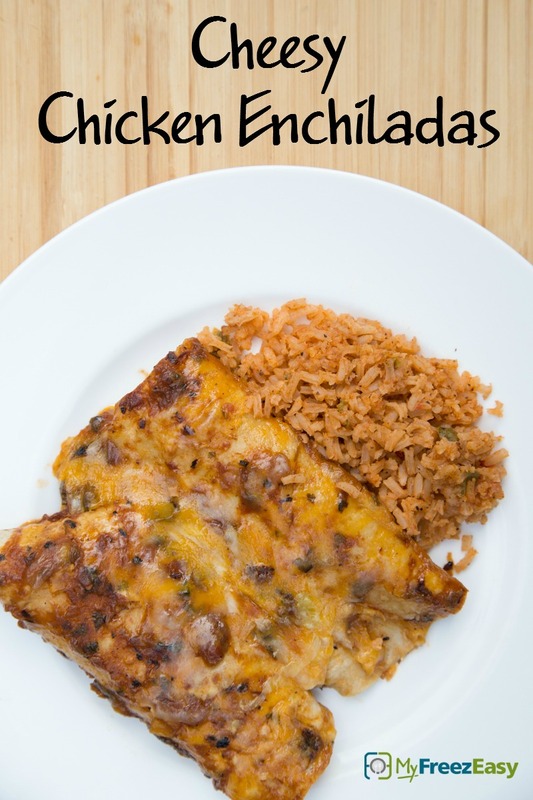 The cheese and chicken mixture is just wonderful in this dish! In a mixing bowl, toss together the rotisserie chicken, half of the shredded Monterrey Jack cheese with the salsa and a pinch of salt and pepper. Roll the chicken-cheese mixture into each of the corn tortillas and nestle them into the prepared baking dish, seam side down. Once all 12 are made, pour the red enchilada sauce over the top of the tortillas and top with the other half of the shredded Monterrey Jack cheese. Bake in the preheated oven for 25 minutes, or until cheese has melted. 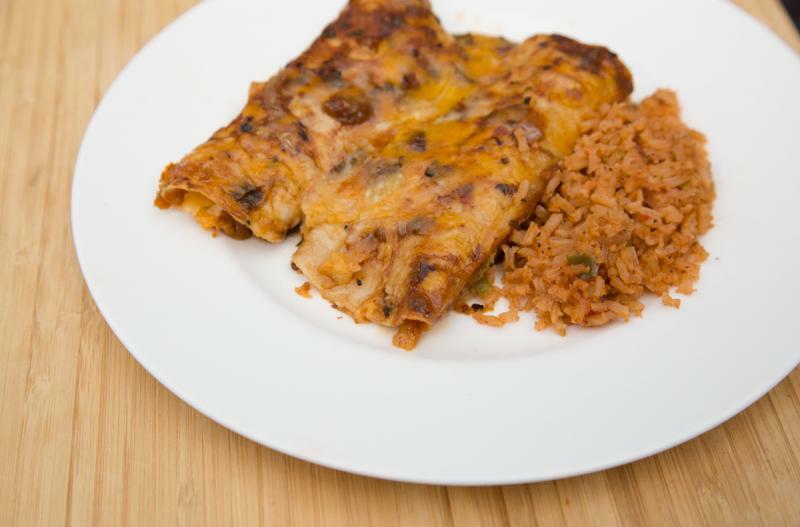 Serve Cheesy Chicken Enchiladas with cilantro garnish, refried beans and veggies. In a mixing bowl, toss together 6 cups of rotisserie chicken, 4 cups shredded Monterrey Jack cheese with 2 cups of salsa and a pinch of salt and pepper. Roll the mixture into 24 enchiladas. Open 2 cans of red enchilada sauce. Thaw and bake at 350 F for 25 minutes. Serve with cilantro garnish, refried beans and veggies.